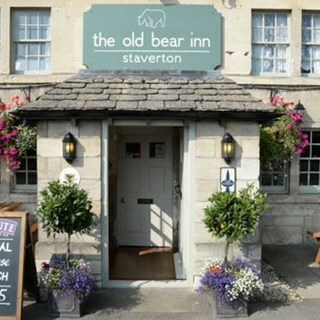 Alastair, Jo and the team look forward to welcoming you to the award winning Old Bear Inn. All our food is freshly prepared and cooked to order. We source the best local and free range food wherever possible. 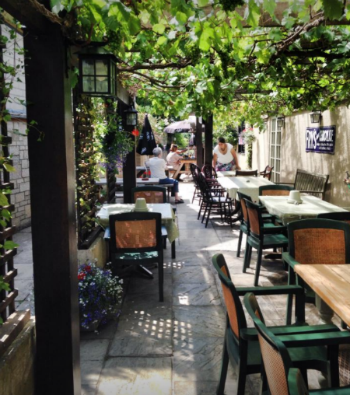 We hope you enjoy our relaxed pub atmosphere and informal service. We have an excellent selection of Cask Marque accredited draught ales, lagers and ciders and a comprehensive wine list, as well as a full selection of soft drinks, and locally sourced, freshly ground coffee. Open log fires and a vine covered outdoor patio are also features at The Old Bear. Always a lovely roast carvery on a Sunday! Ordering off the menu during the week is also just as nice. Lovely cozy pub and the staff have always been great. lovely food, fast efficient service as always! I had the pork and spinach, which was ok, but lacked flavour and was a bit dry. Could have done with a light sauce. Lovely lunch on the outdoor patio. We were made to feel very welcome and food was good. Best Carvery around even on a HOT day! Friendly service, good food - great country pub. As fabulous as ever - thank you!! Every time myself and my wife come to the bear, we have no complaints the food is 5 star love it great value. The only thing that do need attention is the bitter, but apart from  that no faults keep up the good work. Have had fab sunday lunches at The Old Bear and thought it would be a good place to celebrate partners birthday but came away a bit disappointed. Our table was located in the window and it was quite cold there. We both had the rib eye steak which was well cooked and the chips were great but would have liked an option of a side dish of green veg. Great food, nice ambience and friendly staff. Will certainly return. 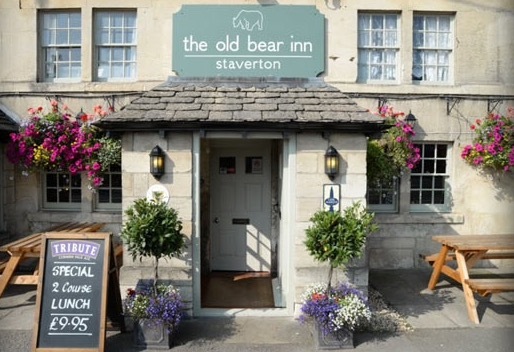 In the area unexpecdly and picked the Bear based on their menu - good pub fare done well, not trying too hard but delicious and a sensible number of choices. Excellent service, friendly staff. A good find on a very wet and Cole day. Excellent service very polite and welcoming. The food was lovely as always cant fault it. The only thing i would recommend is new and slightly bigger plates as this would make carry food alot easier for the big appetite person as myself lol. Great place keep up the good work. A very good lunch. We will be back to see what the carvery is like when in the restaurant rather than the bar. A greater variety of vegetables as this was a Christmas menu ( red cabbage, cauliflower cheese, mixed roasted root vegetables are all Christmas favourites). The presentation was lacking on some of the starters and desserts, especially after reading the menu description. The mulled pear was a disappointment and looked very sad. All of the food tasted good though, the salmon was excellent. Delicious food, great service and fab value for money! Can't wait to go again!